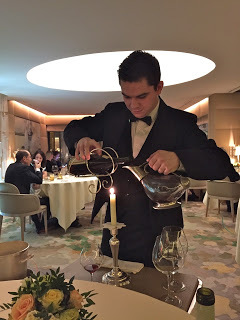 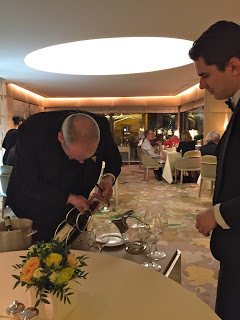 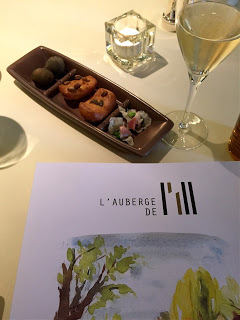 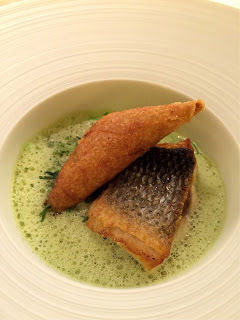 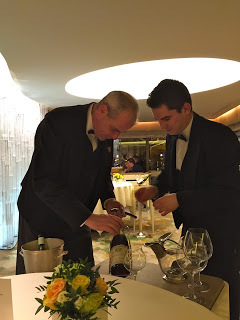 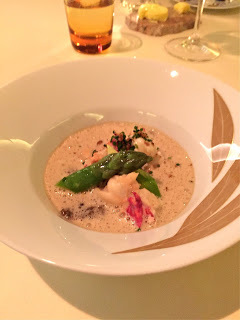 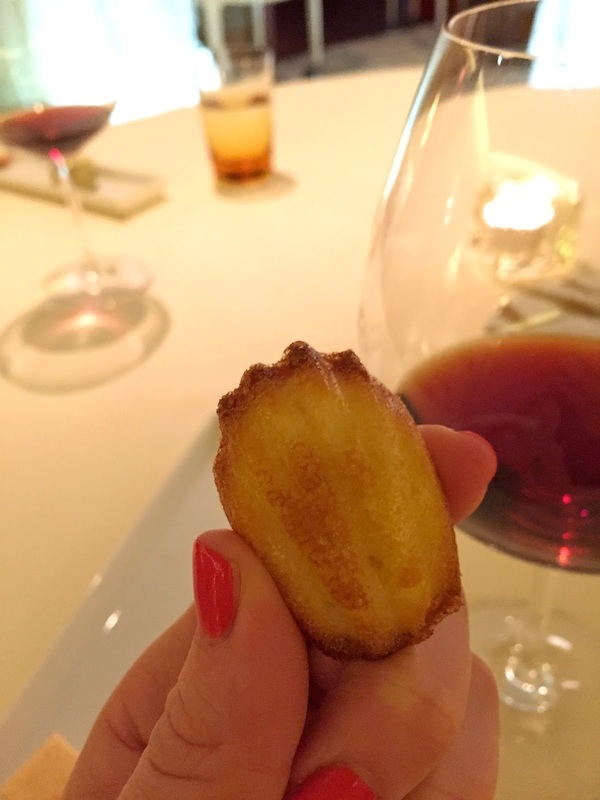 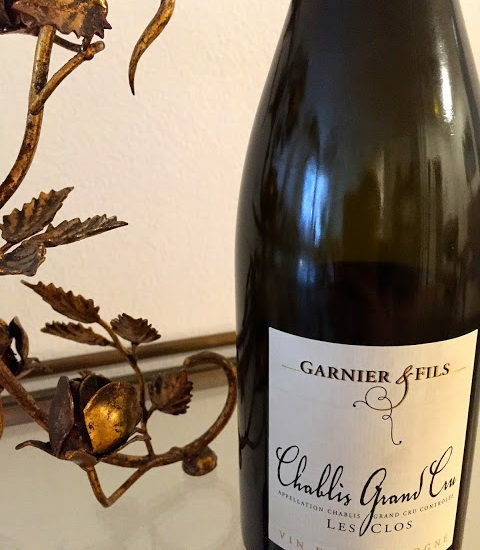 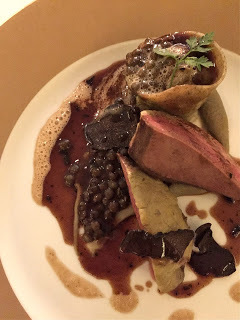 Auberge de L'ill - A Dining Experience to Remember - Chardonnay Moi - Food, Wine, Travel and Fun! 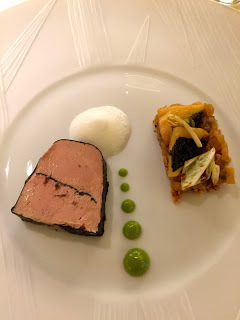 I realized I never shared the third and final 3-star dinner celebrating my 3 decades. 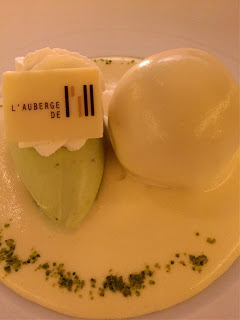 While in Alsace back in April we dined at Auberge de L’ill, one of the oldest Michelin-starred restaurants. 3-stars for over 45 years, the restaurant is a true family affair, with several branches of the Haeberlin clan running the restaurant and adjacent hotel. 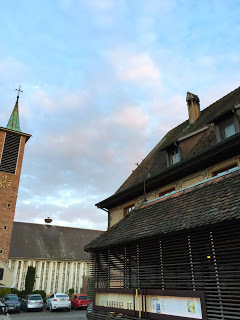 From the minute we walked in, I felt like I was in a dream. 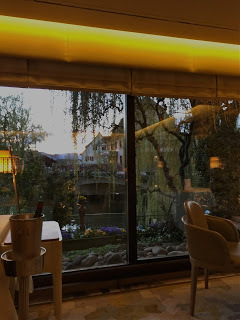 The chorus of “bonsoir madam” rang out as we were ushered into the dining room just as the sun was setting outside behind the mountains and overlooking this gorgeous river that ran through the back of the restaurant. 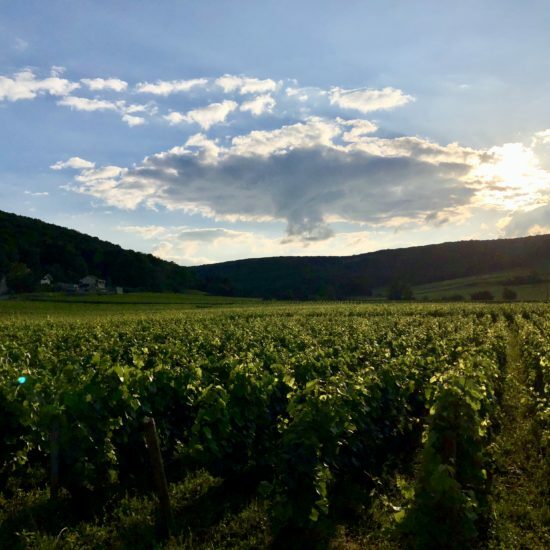 Words and pictures can’t even come close to capturing the setting. 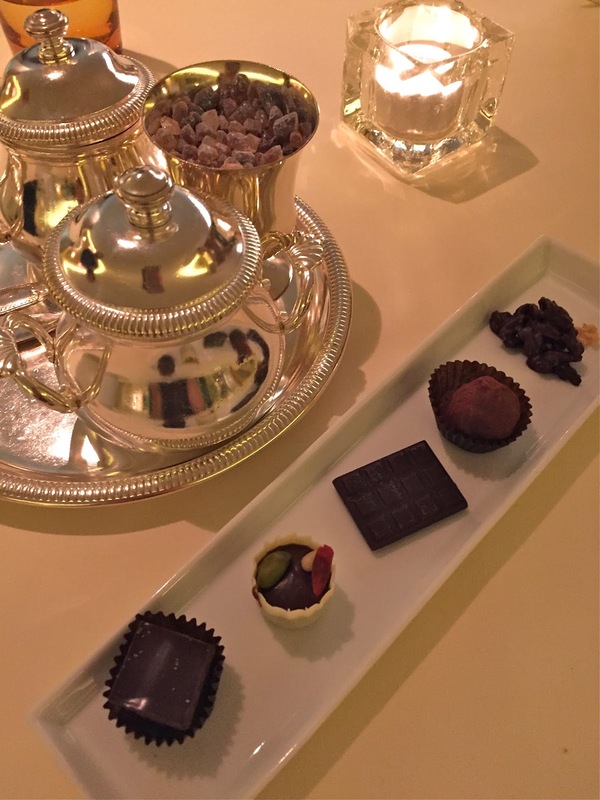 We settled in for an incredible evening. 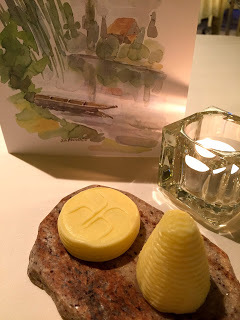 From the choice in butter alone (salted Bordier vs. unsalted) I knew we were in for a treat! 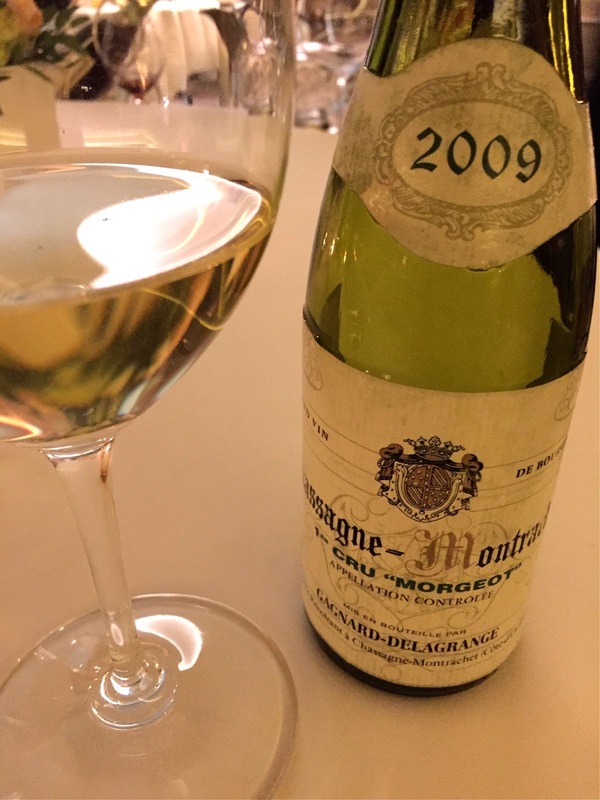 We started with a glass of sparkling then moved on to a half bottle of 2009 Chassagne-Montrachet Grand Cru “Morgeot” from Gagnard Delagrange. 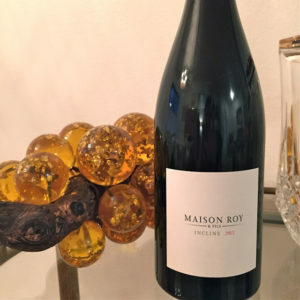 Again hitting my love for the half bottles! 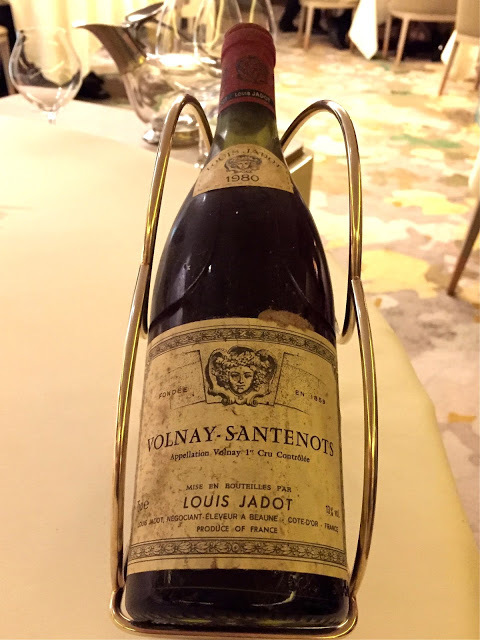 For dinner, we decided on a 1980 Grand Cru Volnay-Santenots from Louis Jadot. 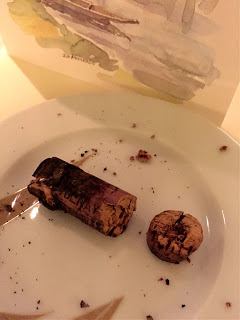 There were a few hair-raising moments as the somm and his assistant fought with the cork, but they prevailed and the wine was beyond expectations delicious! 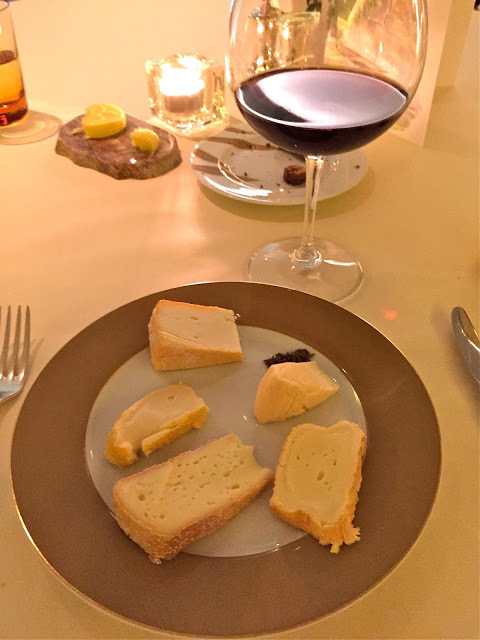 Now that the wine was squared away, we could focus on the food. 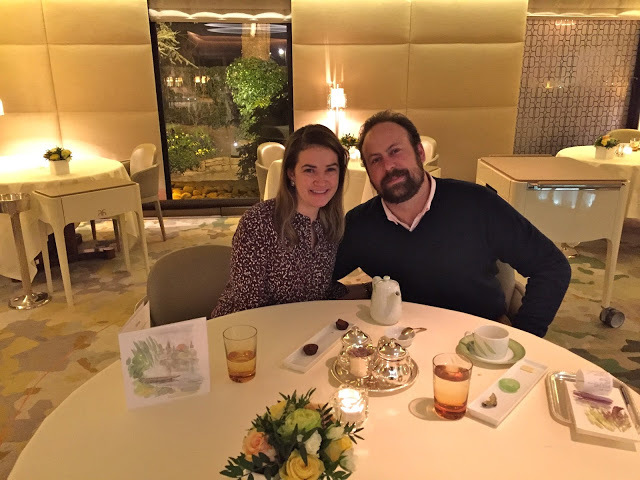 The dining experience was dramatically different than our experience at Maaemo and Meadowood; much more classic and old school, but wonderful nonetheless. 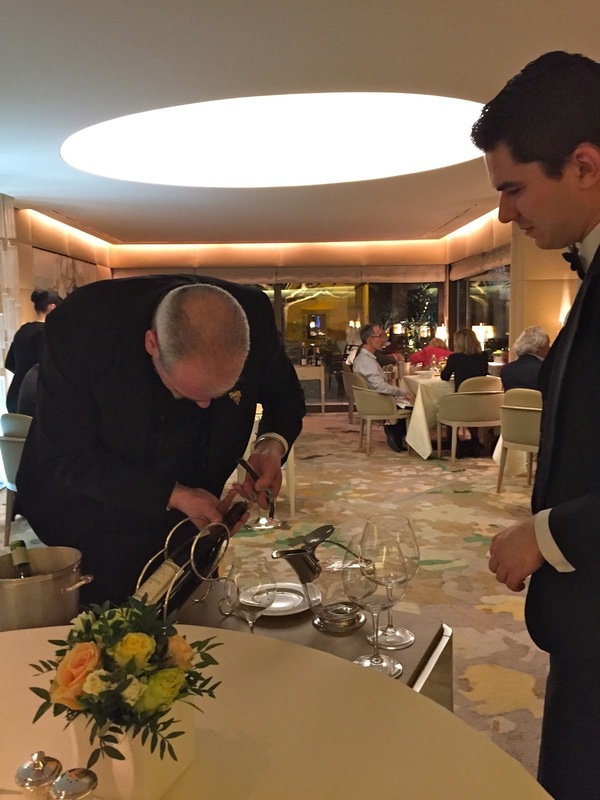 What remains consist across all restaurants was the outstanding service and attention to detail. 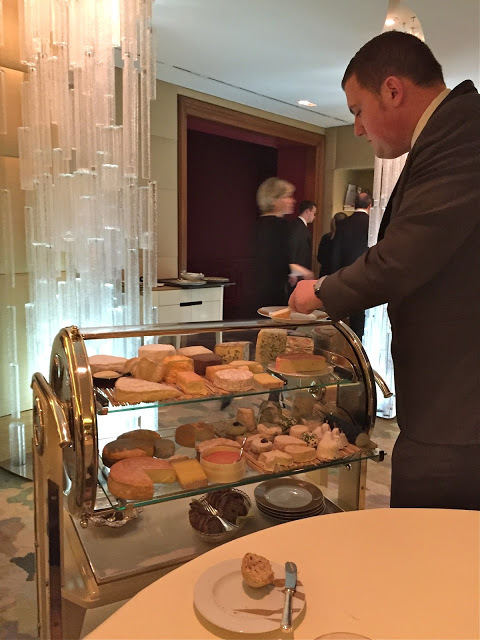 Following the main course, you can imagine my delight as our captain wheeled over this cheese cart to end all cheese carts. 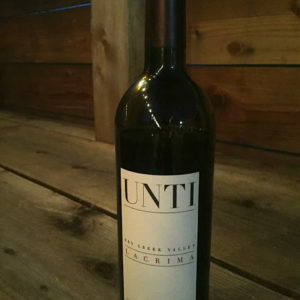 I couldn’t even tell you what I sampled but it was all amazing. On to the pre-dessert, dessert. 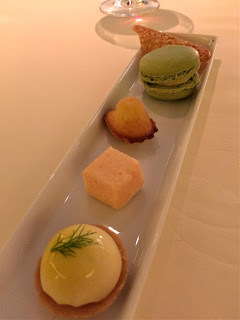 A selection of petit fours, I loved the baby madeleines! 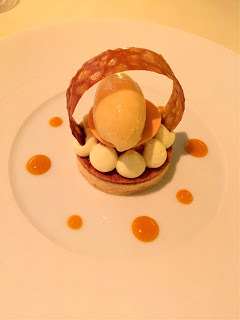 Then on to the actual dessert course: we had one of their famous poached white peaches with sorbet as well as a rhubarb tart with Sauternes sabayon. Just when I thought I couldn’t finish another bite, they brought around a tray of chocolates to choose from. 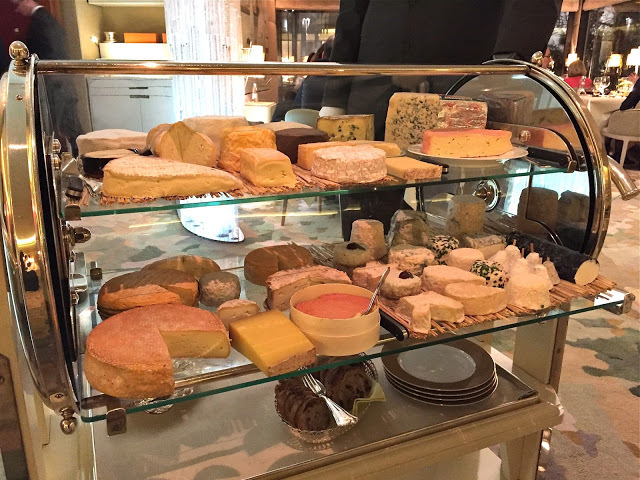 I just had to sample them all….. If you find yourself in this corner of France, Auberge de L’ill is not to be missed!